How do you best ensure patient satisfaction? Ensure patients feel well cared for? Have their questions answered quickly, thanks to faster results turnaround times? Ensure your team provides skilled, patient-centric care? Reduce length of stays? Keep patients safe in the hospital environment? Are these questions a part of your daily challenges as a healthcare executive? bioMérieux provides a wide range of solutions to help you improve patient satisfaction. 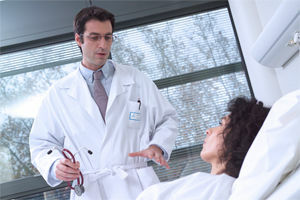 As a healthcare executive, you are under constant pressure to guarantee patient satisfaction. Every patient, and their family, is understandably focused on their own hospital experience: understanding their health problem and how it can be treated; getting better, so they can go home soon; and being well cared for and safe while in hospital. For you, this translates into rapid, accurate diagnostics to provide the answers patients seek; ensuring staff are well-trained and supported; providing quality care while managing patient triage and bed space; and ensuring environmental safety and antibiotic stewardship. At bioMérieux we are aware and here to help in your patient satisfaction challenges in your healthcare facility. Getting precise lab results to physicians rapidly is key to quality patient care and patient satisfaction. There’s more to this than improved diagnostic tests. After all, the patient is not going to be comforted by an accurate result that’s sitting in a lab. bioMérieux experts can help you carry out a Lab Performance Assessment to review current practices. By helping you improve your workflow plan and get the most out of your existing equipment, we can help you to gain ultimate performance in the turnaround time of your lab’s results. Our instruments fit seamlessly so you gain maximum productivity to deliver standardized, reliable results faster. Our innovative, integrated software solution MYLA®, further improves communications and efficiencies. Patients never see this – but when the clinical team can initiate appropriate therapy sooner, patients gain confidence in their care and recovery. Healthcare personnel must be skilled, motivated and supported to provide quality, patient-centric care. 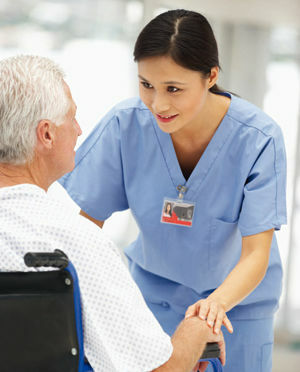 It is important that patients feel they are being well cared for. Clear workplace expectations and performance guidelines ensure a skilled workforce. The health institute administration must also support staff in their goals for continuing education and keeping up with new technologies and knowledge in health sciences. bioMérieux offers a range of training programs to help you implement these critical benefits and ensure you have the best team ensuring quality care. From the patient perspective, it’s about getting home to be with loved ones sooner. For you, it’s also about making the most of your facility to provide the best care to the most patients. When you reduce the length of patient stays, you gain capacity in your system in terms of beds and staff time. Efficient patient triage, proactive scheduling and active discharge planning are needed for optimal patient care all along the pathway. bioMérieux’s Continuous Improvement Events can help your hospital increase in capacity to help minimize wait times, maximize productivity and improve the patient experience. We can help you map the process, identify bottlenecks and the main causes of delayed discharge at all points of the patient’s journey. Patients come to the hospital to get better, not worse. Unfortunately, antimicrobial resistant organisms, including multi-drug resistant organisms, and hospital associated infections (HAI) are realities today. As a healthcare executive, you are dedicated to ensuring patients recover well from infection, in particular fighting sepsis, and to preventing the spread of disease. At bioMérieux, we recognize that your first line of defense is assuring a safe environment – starting with regular air, surface and water sampling. That’s why we offer a range of solutions for environmental control and monitoring, conveniently bundled yet customizable to your needs. Another key objective is to ensure antimicrobial stewardship in your facility. Identification and antibiotic susceptibility testing are critical to determining appropriate therapies for patients with infections – so we are committed to providing reagents and instruments that offer rapid, accurate, standardized results. We are also active in many programs to raise awareness and promote research – including our own Be S.M.A.R.T WITH RESISTANCETM initiative.